Dr. J. David Andrew is the Medical Director for Meritage Medical Network. Dr. Andrew joined Meritage over twenty years ago, and has held the position of Medical Director for many of those years. His leadership and guidance has been instrumental in company growth and success. Dr. Andrew specializes in family medicine, and has over forty years of experience in his field. Prior to Meritage, Dr. Andrew served as Medical Director for Ross Valley Medical Clinic from 1984 – 1989. 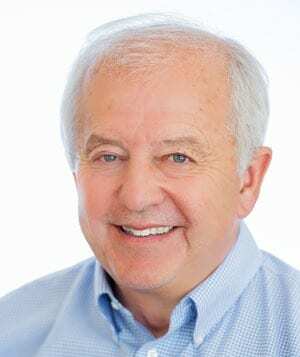 He has been an active staff member with Marin General Hospital since 1977, and received recognition for his outstanding achievements when Marin Magazine awarded him Top Doctor in 2014. Dr. Andrew earned his medical degree from Dalhousie University, in Canada, and completed his Internship with St. Paul’s Hospital, University of British Columbia, in Vancouver.